A Health Minsitry poll showed that the large majority of Israelis are satisfied with the care they get in hospitals. 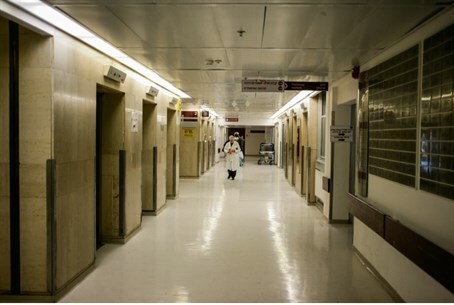 A Health Minsitry poll showed that while the large majority of Israelis are satisfied with the care they get in hospitals, about a quarter are not – because the staff, the feel, does not treat them properly. The poll of 500 representative Israelis was conducted by the Ministry between May and July of this year, and encompassed patients from all departments in Israel's public hospitals who had been recently sent home. Overall, the poll said, 81% of patients were “satisfied” with their doctors, and 80% said they were happy with the staff that treated them. However, 19% said that they felt staff were not paying enough attention to their concerns, and that they had to “speak out” in order to get someone's attention. Twenty percent said that the explanations they were given about their condition or the reason for a specific treatment were not satisfactory, and 30% said that staff did not volunteer information unless they were pushed to do so. In addition, 20% said that they did not think staff spoke to each other enough; 23% did not know what the next step in their treatment would be. With that, 83% said that they were satisfied with the service their nurses provided them. The Health Ministry said that it would analyze the findings and act accordingly, instructing hospitals to change policies as needed.